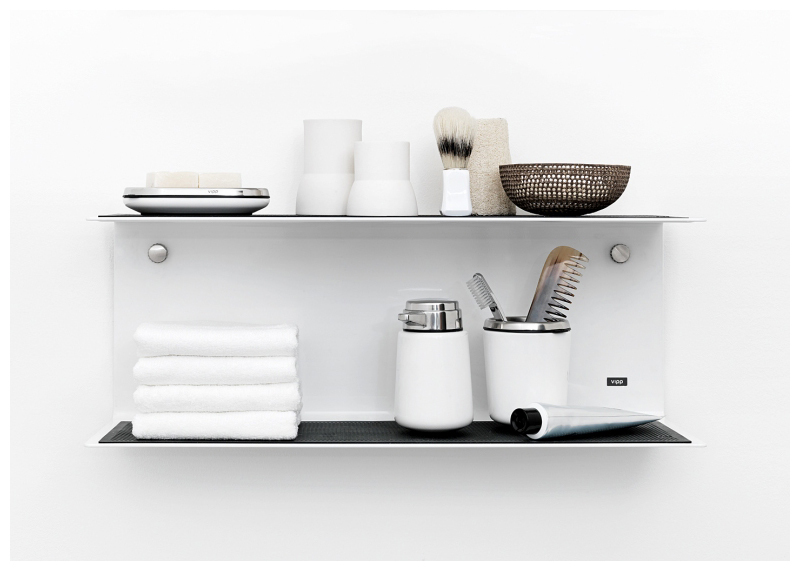 I have long been a fan of Vipp's sleek, simple trash bins and soap dispensers but lately it's these shelves from Vipp that I'm really crushing on. Such a perfect ledge for cups and glasses alone. 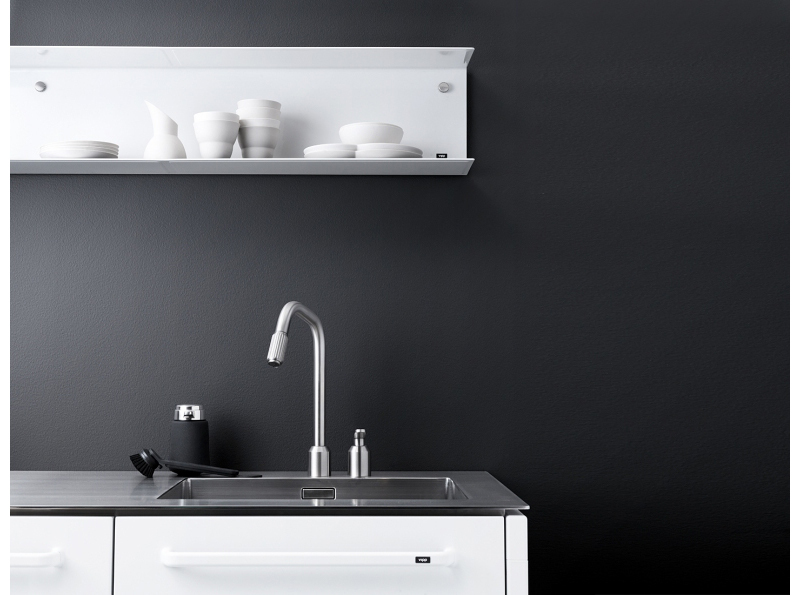 This shelve is really perfect. Ooooh! I love that shelf! Agree with you. Did you see their kitchen and dining table?